CSC brings you California Laws Governing Business Entities Annotated, 2019 Edition. This deskbook can help you to conduct research more effectively, complete transactions more efficiently, and better advise your clients. 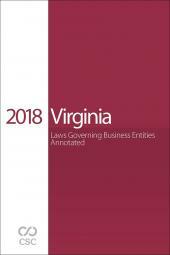 You will not find a more comprehensive collection of annotated business entity statutes for the state of California. You'll find all the statutes that you need to transact business in California, including the General Corporation Law and Limited Liability Company Act as well as related sections, updated through the 2018 Legislative Session—don’t miss newly enacted requirements for boards of directors or updated laws authorizing the use of blockchain technology in articles of incorporation. 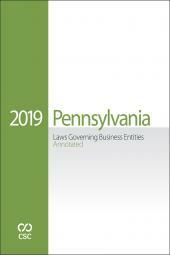 Use the Table of Sections Affected to find 2018 legislative changes quickly. Blackline amendment notes after each changed section pinpoint additions and deletions made by the Legislature. The Table of New Annotations and change bars highlight over 50 case notes added since the last edition. Legislative analyses prepared by California business law experts provide valuable insight regarding changes to California business laws. 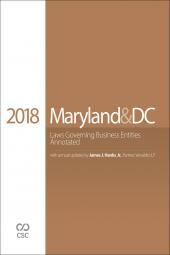 In addition, the book includes five full-text cases exploring recent legal developments regarding alter ego doctrine, demand futility, fiduciary duty, operating agreements and involuntary dissolution. Over 190 ready-to-fill forms for incorporation/formation, qualification, mergers, dissolution, name reservation and other tasks for all entity types on the companion CD-ROM. New in this edition, easy-to-reference California Fee Tables showing required fees for numerous business-related filings with the Secretary of State. Allan B. Duboff is a partner in the Los Angeles office of Loeb & Loeb LLP. Mr. Duboff maintains a diverse corporate and business practice with an emphasis on mergers and acquisitions, securities and corporate finance, private equity, venture capital, joint ventures, licensing and general business matters. He is a leading authority on limited liability companies. As a member of the California State Bar Drafting Subcommittee, Mr. Duboff was instrumental in the creation of the Limited Liability Company Act. Mr. Duboff is an advisor to clients ranging from emerging growth companies, closely held companies and equity funds to public companies in a range of transactions. He has significant experience in a number of industries, including manufacturing, high-tech, media and entertainment, food service, consumer products, medical devices and apparel. As a moderator and speaker, Mr. Duboff regularly contributes on issues relating to mergers and acquisitions, limited liability companies, joint ventures and partnerships at industry conferences and continuing legal education seminars sponsored by the California State Bar Association, the Los Angeles County Bar Association, California Continuing Education of the Bar, B. Riley & Co., Los Angeles Venture Association, The Rutter Group, UCLA Extension, Directors Roundtable, CLE International, National Business Institute and the Beverly Hills Bar Association.